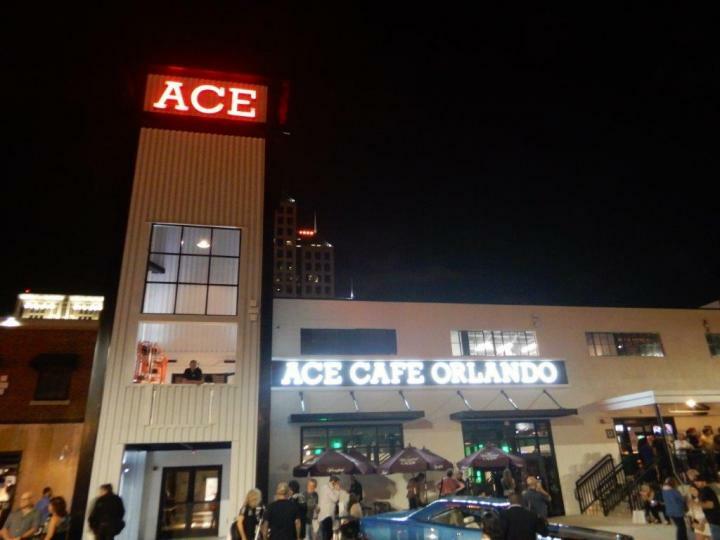 Ace Cafe Orlando, the first North American location of the celebrated London-based motor-diner and the sixth Ace Cafe in the world, rolls its doors open today, May 19. The 35,000-square-foot dining, entertainment, and retail destination reinvigorates a key parcel in downtown Orlando now known as “Ace Corner,” where it expects to draw more than 400,000 people annually. Since 1938, Ace Cafe London has been a mecca for those passionate about cars, bikes and rock ’n roll culture. The original location on London’s North Circular Road began as a roadside cafe for truckers, then evolved into a popular destination for rock ‘n roll-loving teens riding motorbikes during the '50s and '60s. Today, the Ace has a multi-generational appeal among motorsports enthusiasts from all over the world.